The world has moved on. First it was barter, and then the money came, but now everyone likes to deal with cards. Some have debit cards while others take credit cards or perhaps both. However, the usage has remained the same, yet, there is a glaring difference in perception when someone uses a credit card. Credit cards can upset people. There had been several instances when card users have consistently crossed the spending limit, and went on to suffer substantial losses. The accrued interest along with the penalty could amount to severe losses; yet, users somehow, don’t want to look into it. They are simply willing to experience the spending opportunities, and some of them never want to think about paying back credit on time. This is why the use of credit cards is dangerous. Though, the concept of credit cards have grown older, yet, the spending possibilities attached with the card excites cardholders. Not just knowing, but understanding the value of cards is equally crucial. The best users are those who exercise a certain degree of will power and determination while using cards. People must recognize the fact that credit cards should be used in times of emergency. The real problem crops up when people begin to perceive card’s spending limit as their own money. They see in hindsight that this money needs to be returned if they spend it. Inspite of all they know, users fail to curb their instincts. And the biggest reason is they lack the will power to do so. If you don’t have the determination to control the urge to blow through cards, there will be repercussions, which will be hard to swallow. No matter how meritorious the card is, you may choose the best card with the best interest rate, or follow review card rankings prune process and stuff your wallet with a whole lot of them, yet if you don’t exercise caution and willpower, you are bound to suffer enormous losses. 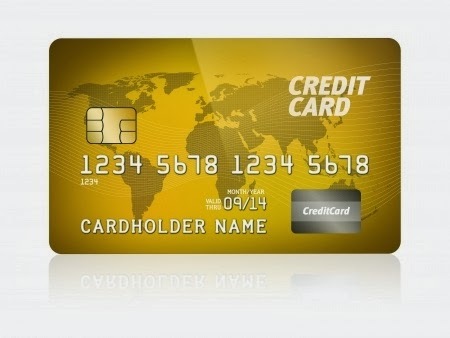 The best practice one should pursue is not to carry credit cards always. Users should be constantly telling themselves that they don’t need cards for purchasing things, where they can use cash. The habit of using cards, even though, one may simply use cash leads to all sorts of trouble. In the beginning, it seems natural and exciting, but with time, things begin to take ugly course. The habit makes you vulnerable, and you start spending boldly. Spending with cards is taking credit from the card company. Though, everyone knows about it, very few actually realize and understand the point. The real problem here is that, with cards, no one sees the cash going out of their pockets, and that is the real issue. Just because you can’t see it, that’s the reason you become bold with your card spending. And then when the bill arrives at your door, you start scratching your head with frustration. You fall in debt. Now, you want to come out of debt, and even though, you want to avoid cards desperately, you don’t have the willpower to do so. Again, you spend unwillingly. You still have the old payments to make. The things you buy now add up to your bills, and the cycle continues. It’s up to you to understand the repercussions that flow with careless use of cards. Be cautious, and the cards could easily be your friend in times of adversity.